Oh, Tradeshows… A magical place where you go to gain industry insights, to network, and to expose your product to the public. Tradeshows allow you to demo your product to possible investors, wholesalers, and distributors. This is your chance to shine. All the hard work, money, has come down to this. But wait – before you sign up to fly all across the county, make sure your Packaging is as ready as your Product! With the Terpenes and Testing World Conference 2018 coming up in San Jose next month, here are a few things to consider when deciding how to best present your products to your peers. Packaging plays an equally important role in impressing your audience. It creates the first impression that captures the attention of those around you. The last thing you want is having to explain to your audience what it “will” look like in its final packaging with better-quality materials. How many times have you bought something because the packaging caught your eye?Your packaging must be as finalized as your product is ifyou want toenthrall potential investors. A tradeshow is the right place for your product and/or prototype to sell. You want your presentation to impress. Vendors will look at many products throughout the day. If you want to stand out,label what is most important in an easy to read manner. Assure your packaging adheres to state labeling laws. Don’t skimp out on low quality prototypes. If you are extremely confident about in-house work, then by all means go at it, but do not hesitate to outsource production, even if it takes longer andis less cost effective. If you follow these guidelines,your Packaging, and your product,will be its own silent salesman. 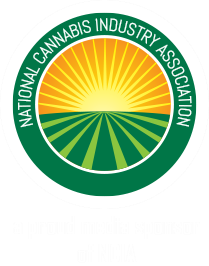 For the full version of this article, please subscribe to Cannabis Packaging News and look for issue number two coming to print and online June 2018. Full article is written by Erin Pearlman from Online Labels.